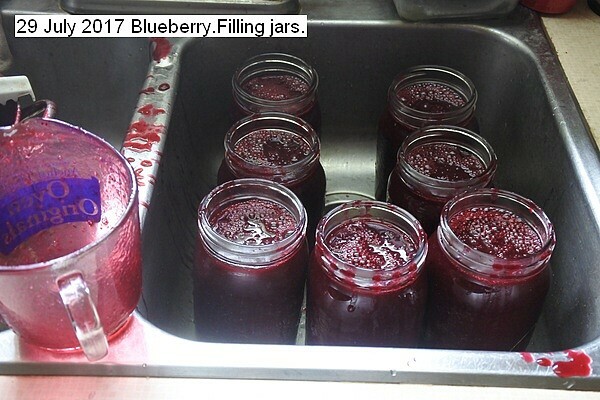 Fourteen pounds of blueberries were picked this morning and made into 11 liter jars of juice. Only water was added. The berries were a bit difficult to pick, since the clusters were not all ripe and often single berries had to be separated due to cool not sunny weather inhibiting ripening this last week. Annotated pictures depict the process. This entry was posted in Uncategorized and tagged 29 July 2017 Blueberry Juice, Blueberry Juice. Bookmark the permalink.